We try to do plenty of giveaways throughout the year! Here you will find a list of giveaways we host as well as some others listed at the bottom of the page. Each giveaway or contest may have it’s own rules and ways to enter so be sure to read the information for the particular giveaway you are entering. Many of these have multiple possibilities for entries as well as daily entry options! Be sure to check out the additional listings at the bottom of the page! Click on any non-expired links in our list of giveaways to review and enter. Good Luck! Enter to win a $25 Kohl’s Gift Card ~ Giveaway ends 11/9/2014 at 9:00 pm EST! Enter to win a $25 Walmart Gift Card ~ Giveaway ends 11/9/2014 at 9:00 pm EST! Enter to win a $50 Best Buy Gift Card ~ Giveaway ends 11/9/2014 at 9:00 pm EST! Nielsen Home Scan Consumer Panel is recruiting new panel participants again. They are giving away 25 $500 American Express Rewards cards every month and 40 more every quarter as well as $20,000 to one participant every quarter! You can find out all the details here! PCH $5000 a week for LIFE Sweepstakes – Enter to win $5,000 every week for life with a minimum payout of $1,000,000.00! A Year’s Supply of Dr. Pepper – Attention soft drink fans: This could be your lucky day! Take a survey and get entered to win a year’s supply of Dr Pepper(R). That’s a $1,500 value! 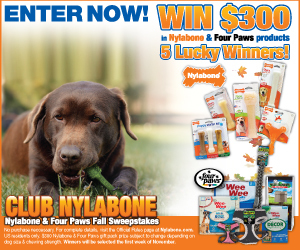 Nylabone $300 Giveaway – Enter for a chance to win $300 worth of Nylabone and Four Paws products for your dog! Entries must be received by October 31 – five (5) winners will be announced the week of November 10, 2014. RewardTV – play trivia for cash & prizes. Each day you play a Trivia game, you’ll receive an entry into our $10,000 Sweepstakes. 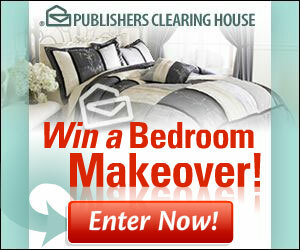 Choose one of our great prize packages! Toys R Us $3000 Sweepstakes – Enter to win a $3500 Toys R Us Shopping Spree. 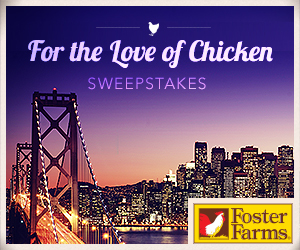 Just take a survey to reserve your spot in the sweepstakes. 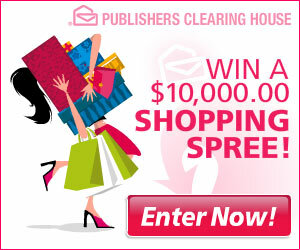 MyDailyMoment $10,000 Sweepstakes – Signing up for thousands of recipes could actually win you thousands of dollars. Register for the FREE Recipe of the Day newsletter for your chance to win weekly CASH prizes and the Grand Prize of $10,000. CVS $1500 Gift Card – Don’t miss your chance to enter the CVS(R) sweepstakes! Take a survey now and get entered to win a $1,500 gift card.